With over 2121 building display jumps Gary is a world leader when it comes to BASE jumping displays off buildings. He has performed in front of Sultans, Prime Ministers and crowds of up to 250000 people. 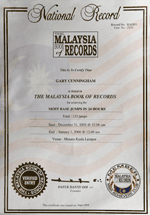 On New Years Eve leading up to 2006, Gary Cunningham set a world record for the most base jumps done in 24 hours. 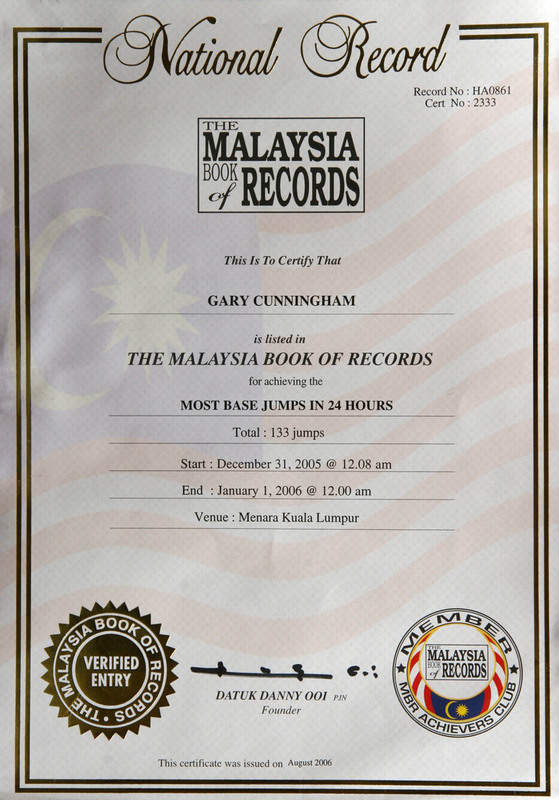 Gary completed 133 jumps off KL Tower. Jumping started at midnight on 30th December 2005 and the final jump was done on the stroke of midnight 31st December 2005 as the clocked ticked over into 2006. An amazing effort.